Do you have clients who need to get a policy issued due to a loan? Divorce? Afraid of needles? They need it yesterday? The non-medical option may be an option for qualified clients. The non-medical opportunity is available for ages 18 to 69; Class approval ratings can be Sub-Standard to Preferred Plus; Products available are from Term to Permanent; Face amounts are up to $1 million dollars, and approvals can happen within 24-48 hours, on most occasions. Were you aware of all of these options for your clients? Fully underwritten life insurance usually costs less than non-med insurance, and the medical exam does involve a questionnaire about your lifestyle, blood, urine sample, weight and height check, in addition to family medical history, hospitalizations and medications you take. Normally the insurance carrier pays for the medical exam, but if results come back different than what your clients believe, and they want to contest those results, those additional tests will run at the client’s own expense. 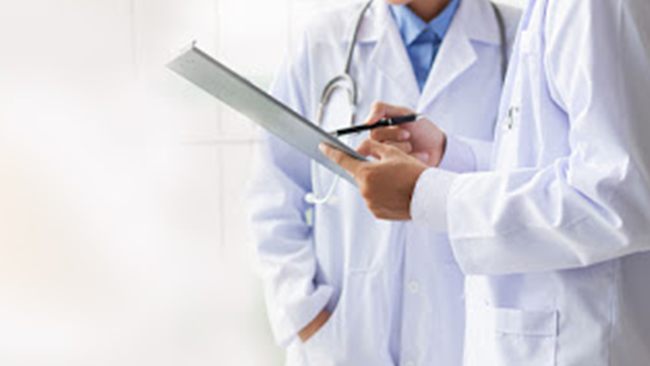 With the medical exam, there is a chance that your client may fail and coverage is denied. Insurance companies have done an incredible amount of research to get this to a science. The tools for them are there. We can show you the five minute life application that most companies offer. After the case is entered by you on the Partners Advantage website (the client does not have to be present), it gets sent directly to the carrier. Your client then goes through a phone interview, and answers all the same health questions that are on an application. Partners Advantage can also help you prepare your client for this call. The carriers will then check Medical Information Bureau (for insurance history and medical codes assigned), run a prescription drug check, a motor vehicle check, and LexisNexis® for additional risk details; All of these areas are checked within 24-48 hours. A carrier either approves the case, or has the client go through additional underwriting (i.e. exam, medical records) based on the information that is uncovered. We can guide you through the process and let you know which carrier, and if non-med or a fully underwritten life policy is the best fit for your prospect/clients’ situation. Give us the opportunity to review a case for you. We have a very talented Underwriting Department that offers questionnaires and other avenues to offer underwriting risk services. So are you and your client up for the challenge? The five minute application process, and the approval may occur within 24-48 hours. For financial professional use only. Not for use with consumers. This blog is designed to provide general information about the subject matter covered. Partners Advantage Insurance Services and their representatives do not give tax or legal advice. The material in this blog is provided for informational purposes only and should not be construed as tax or legal advice. Guarantees and benefits are based on the claims-paying ability of the issuing insurance company. Keep in mind that most life insurance policies require health underwriting and, in some cases, financial underwriting. Each case is individually underwritten as the severity of medical conditions varies among individuals. Formal underwriting evaluation and pricing is based on the individual characteristics of each case. Partners Advantage Insurance Services and their representatives do not give tax or legal advice. The material in this article is provided for informational purposes only and should not be construed as tax or legal advice. Guarantees and benefits are based on the claims-paying ability of the issuing insurance company. Keep in mind that most life insurance policies require health underwriting and, in some cases, financial underwriting.